A Magistrate Court in Lagos has remanded 4 undergraduate students of the University of Lagos (UNILAG) over alleged membership of a secret cult, ‘Aloral Bucania’, The Nation reports. The suspects, Raheem Yusuf, 21, Adedoyin Adeyemi Abraham, 24, Olanrewaju Idowu, 36, and Safraini Oluyemi Peters, 24, were arrested by police officers on August 4, around 9:30am, in Room 318, at Biobaku Hall of the institution. They were alleged to have conspired among themselves to commit an offence likely to cause a breach of public peace. 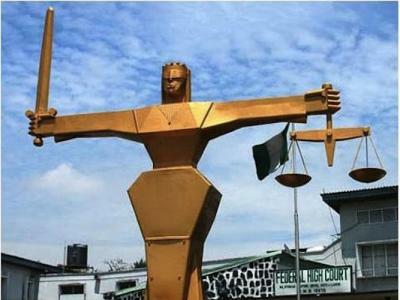 The prosecutor, Adebayo Oladele, arraigned the quartet on a two-count charge bordering on conspiracy to cause a breach of public peace and belonging to an unlawful and secret society. Chief Magistrate Adelaja granted the defendants N200,000 bail with two sureties each in the like sum after they pleaded ‘not guilty’ to the charges. Adelaja said that the sureties must show evidence of three years’ tax payment to the Lagos State government, affidavit of livelihood and be residents of the state.